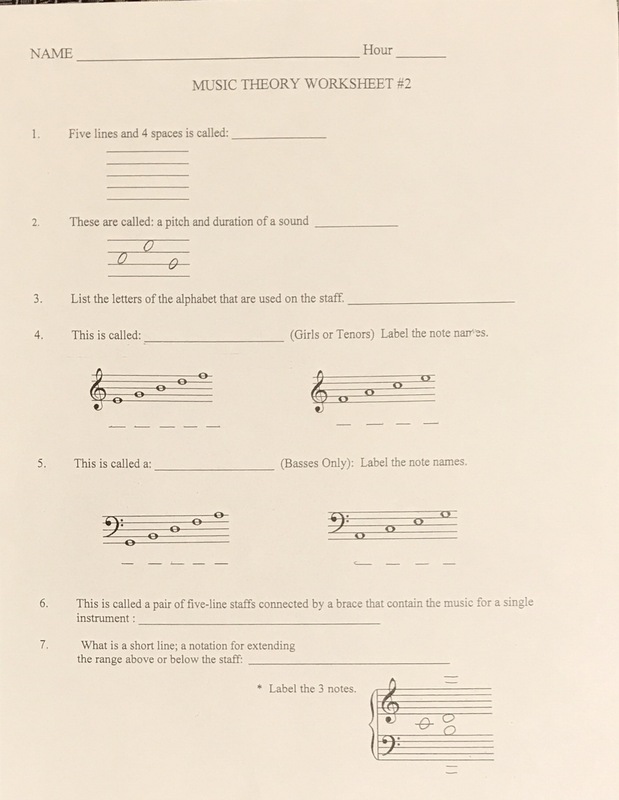 Welcome to our Music Theory page. Information will be added throughout the year. Students can refer to this site to find class work. This is a great exercise to keep up your skills at naming the notes on the staff. 1. Click on the link to complete the exercise. 2. Answer the questions by clicking on the correct letter name (or answering with keyboard). Click on the correct name of the notes. 3. To practice again click on "Start Challenge" please practice at least twice before submitting your score. 4. When finished click on "View Report". 5. Click on "Student Name" and enter both your FIRST & LAST Name. 6. Click on "Sign Report" and copy the CODE (right click to save the link).